A major story following the 2018 midterm elections is the impressive gains women made in the U.S. Congress and in state races. National media, however, has largely overlooked key victories for women running for local office. For example, in Harris County in Texas, 17 African-American women won their races for local judgeships. Here in Idaho, voters elected two women to the 3-member Ada County Commission. It appears to be the first time women will hold a majority of seats on the Ada County Commission. 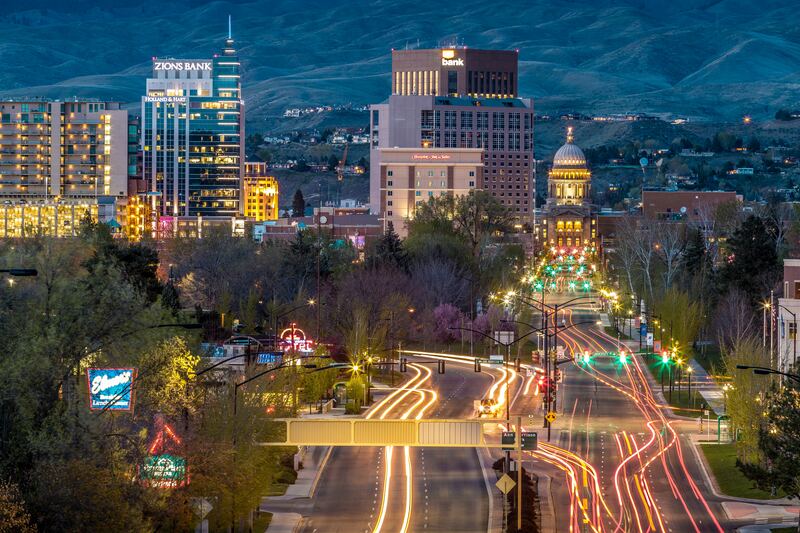 Ada County includes Boise, the state capital and one of the fastest growing metro areas in the country. Kendra Kenyon and Diana Lachiondo, the successful county commission candidates, are also both Democrats. Their victories reflect a general shift more Democratic in Ada County in the 2018 election, especially in Boise. Lachiondo, who ran with the slogan “Work Like a Mother,” defeated an incumbent Republican in a tight race. Kenyon beat a Republican previously serving on the Ada County Commission with a slightly larger margin. Ada County Commission candidates run for the specified district in which they live, but the entire county votes on all the races. As a result of this design, both candidates received over 94,000 votes. The authority of the county commission and the nature of winning countywide races may set up both candidates well for running for higher office in the future, helping populate the Idaho Democratic Party’s political pipeline with more women. Women are making other key breakthroughs in the Boise metro area. Women currently hold a majority of seats on the six-seat Boise City Council. Therefore, starting in January, women will comprise a majority on both the Boise City Council and the Ada County Commission. These are important developments since women continue to be underrepresented in local government, especially county governments. The underrepresentation of women in local governments has important consequences for representation and policymaking. When women serve in elected office, they work to ensure policy incorporates women’s perspectives and addresses issues facing citizens, especially women. For example, research by Mirya R. Holman finds that having women mayors or more women on city councils increases the funding of social services programs. Local budget processes and policy deliberations are also generally more inclusive and collaborative when women serve in local governments. Furthermore, women in local governments may serve as role models or inspirations, motivating other women to seek public office. Plus, as noted previously, serving in local government may help launch women’s campaigns for higher elected offices, adding more women to parties’ political pipelines. Both of these are important since women selecting not to run for office is the main cause of women’s underrepresentation in U.S. government. Population gains in Ada County, Idaho, and Boise City, Idaho. Data from U.S. Census. Both the Ada County Commission and the Boise City Council are key legislative and decision-making authorities for different jurisdictions, making these gains by women significant. While county governments often receive less attention than city governments, county governments can be quite influential and provide important services, especially in metro areas. For example, the operating budget of Ada County in 2019 is almost $281 million. The county commission oversees this budget and the county departments. Commissioners make decisions on key issues like land-use policies, housing, transportation, and economic development. Addressing the rapid growth of the Boise metro area was a major issue in the election, and will be a policy concern for both the city and county government in the next several years. It will be important to have diverse views and perspectives in these discussions, something women can help achieve when in office. Jaclyn J. Kettler is an Assistant Professor of Political Science at Boise State University. Her research focuses on American politics with an emphasis on state politics, political parties and interest groups, campaign finance, and women in politics. Follow Jaclyn on Twitter @JaciKettler. Great article! Attention must be drawn to these developments. We are making progress!